If you’ve worked in the corporate world…heck any world at any time…you’ve likely indulged in the storm-out fantasy. You know, that timeless, “take this job and shove it,” tell off your boss, start your own company, poach all their talent, and maybe even commit a little Superman III like looting (not advised) on the way out scenario. The thing is, few people look good in orange jumpsuits and most are sensible enough to realize the world is a small place with a long memory. So nurture the mental march out moment if you must, but in reality you’ll be better served by following these simple steps. Guard Your Reputation: Even if you despise your job, your manager, and your entire organization doing right by them as you prepare to exit will go a long way towards enhancing your credibility. I once worked with a corporate finance professional who decided to bolt after being passed over for a well-deserved promotion. Instead of letting responsibilities slide, he crafted a transition plan and worked late on his last day to ensure nothing fell through the cracks. Bosses noticed. Two years later he was courted back to the company and earned a skip level promotion for the effort. Commitment is a reflection of who you really are. Give them a Strong Finale: Don’t think of your last days on the job as biding time. Focus on what you can contribute that goes beyond expectations. Refresh old relationships, lend a hand to that junior associate, and pull one last rabbit out of the hat for your boss. Think of yourself as a rock star. Go out on a high note and leave them wanting more. Review Successes: Create a list of what you’ve accomplished during your tenure. Reviewing wins will not only help you ace interviews, it will provide indicators as to performances you’d like to repeat and work you’d like to avoid in the future. Take stock of what you need to learn. Transitions are an ideal time to reflect on your strengths, weakness, and how you can bridge the gap between where you are and where you want to be. Sometimes you can put in place a thoughtful “work around” and leverage your strengths. Other times, you’ll need to hit the books and enhance your knowledge or skillset. Be honest about which is right and then focus some of your remaining time working on those goals. People leave jobs. Sometimes it’s the best thing for both employer and employee. Other times, it highlights a failing that occurred with a system, process, policy or most often, a relationship. Effective leaders are able to take their egos and company interests out of the equation and provide selfless counsel to the employee, ensuring to the best of their ability, that the move is a good one for the individual. Employees, for their part, should engage in the discussion, take the feedback, and if they leave, go in style. 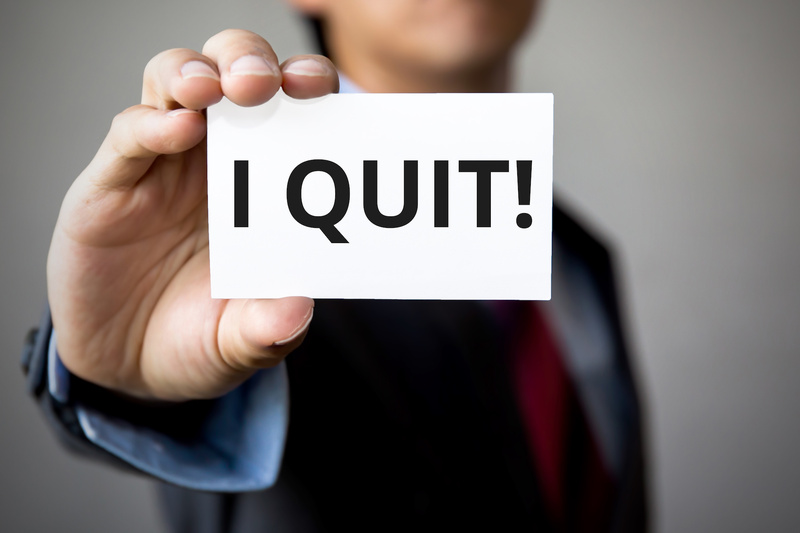 Posted in Uncategorized and tagged career coach, quitting, resignation, tim toterhi.